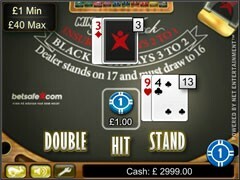 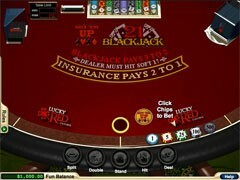 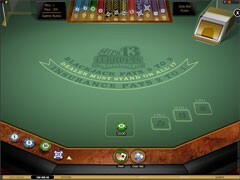 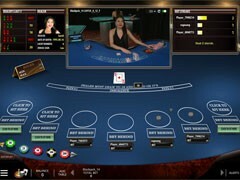 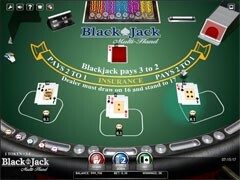 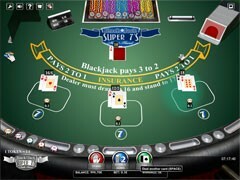 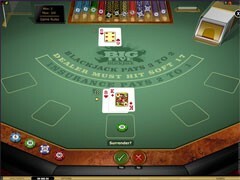 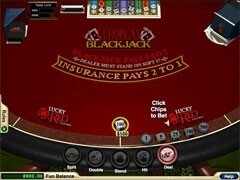 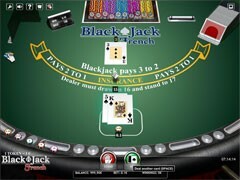 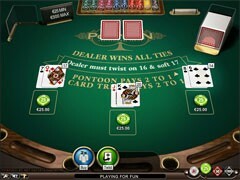 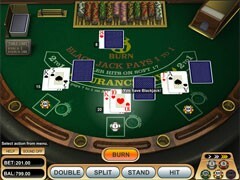 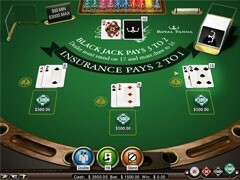 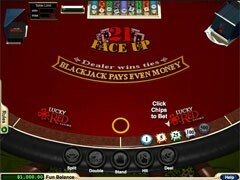 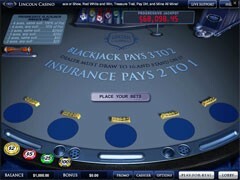 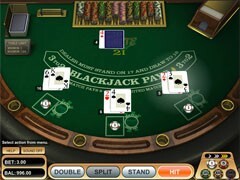 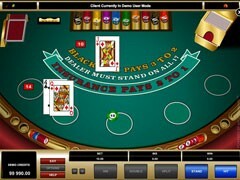 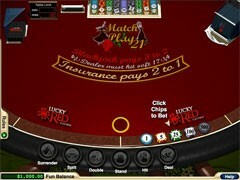 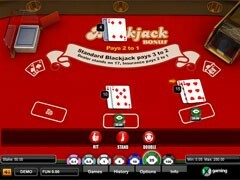 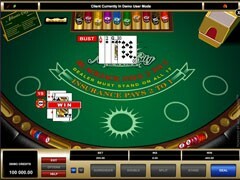 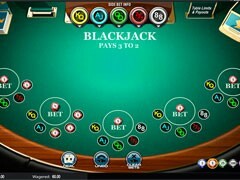 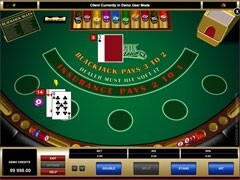 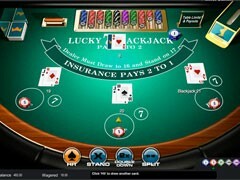 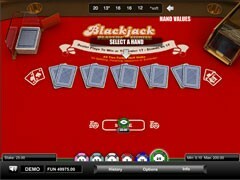 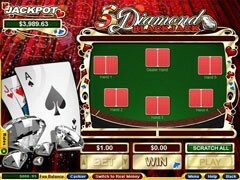 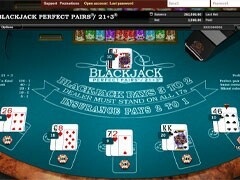 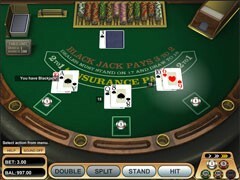 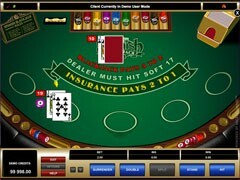 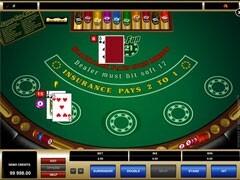 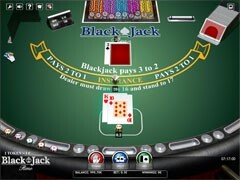 In this blackjack variant delivered by BetSoft a player has an option to replace (“burn”) the second card with a random card by making an extra side bet that is half the amount of the original bet. 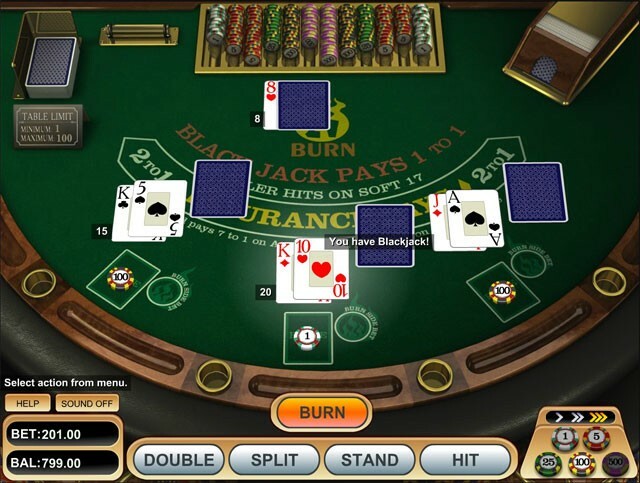 The Burn wager can be placed after receiving the first two cards and seeing a dealer’s face-up card, so the option may be beneficial if a player expects to improve his point total. 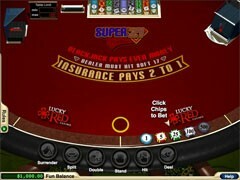 The other rules are the following: S17, no surrender, no re-splitting, splitting allowed only once, no Burn bet after splitting, etc. 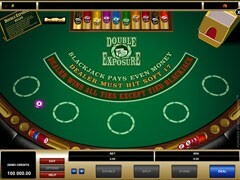 The house edge for this game is 0.54%.